This CRL Milgard Glass Door Keeper works with Cat. No. E2192 Two Point Mortise Latch and Cat. No. C1275 Door Handle. 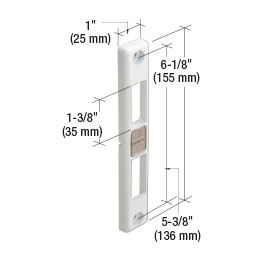 Made from diecast zinc, this keeper has a brite white powder coat finish.